Searching for the perfect 50th Birthday Gift for him? With such an important milestone date approaching, you need to purchase a gift which conveys thought, style and quality. A gift that will remind him of this landmark birthday for many years to come! 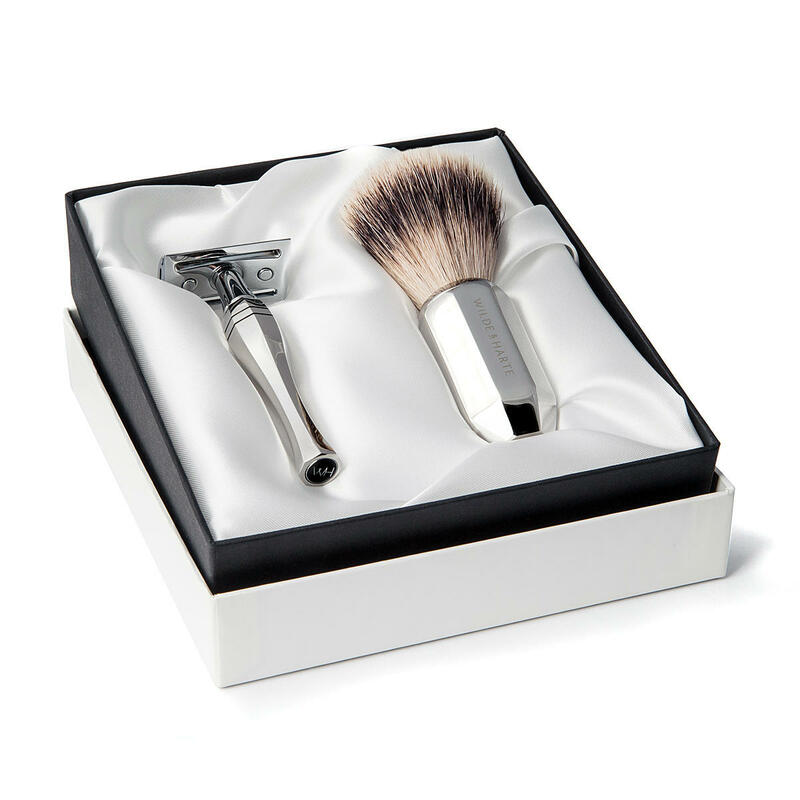 Luxury razor and shaving brush gift sets inspired by the splendour and grandeur of iconic houses and palaces in London. 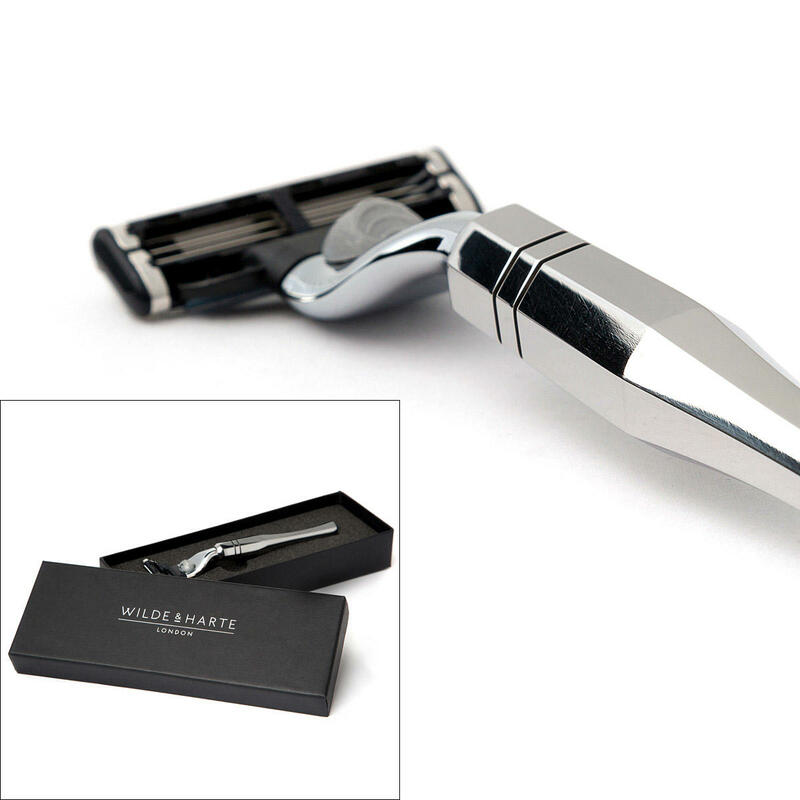 We pride ourselves on designing stunning shaving accessories which provide an extremely comfortable wet shave. Engineered from stainless steel, the weight of each item conveys the luxury and quality that an admired 50th birthday present should be. Our razors and shaving brushes are designed and manufactured in Britain. We are proud members of the MADE IN BRITAIN campaign. You may also purchase a razor stand and leather pouches for your Wilde & Harte razor. Exclusively manufactured in the UK? Yes! The British Government endorsed Made in Britain campaign marque, is accredited to businesses who sell goods that have been manufactured in Great Britain. Successful applicants — such as Wilde & Harte — have submitted written evidence supporting that products have been genuinely designed and manufactured in the UK. Which type of razor do I buy? Go take a look at his existing razor and count the number of blades it has. If the razor has 3 blades, then consider a Wilde & Harte Mach3 compatible razor. Gillette Mach3 razor systems are the most popular in the world and offer a good comfortable shave. 3 blades sit in a detachable plastic cartridge. Replacement cartridges can be purchased at all major pharmacies and supermarkets. The cost is around £1.50 per cartridge (sold in packs of 4 or 8) and each cartridge should last up to 6-8 shaves. 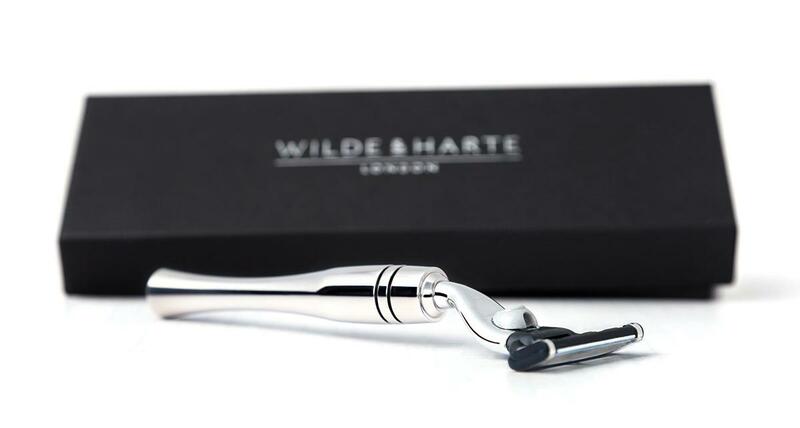 If the razor has 5 blades, then consider a Wilde & Harte Fusion compatible razor. Although not quite as popular as Mach3 razor systems, Gillette Fusion razor systems offer a very sharp, close shave. 5 blades sit in a detachable plastic cartridge. Again, replacement cartridges can be purchased at all major pharmacies and supermarkets. The cost is around £2.50 per cartridge (sold in packs of 4 or 8) and each cartridge should last up to 10 shaves. If the razor is neither of these and unscrews into 3 parts, then consider a traditional double edge safety razor. Quality of shave. Without question, safety razors offer the closest smoothest shave possible. Cost. Double edge razor blades are very, very cheap. A pack of 10 cost only £1 and yield easily 25-30 shaves per pack of 10. Tradition. Safety razors go hand-in-hand with badger hair shaving brushes and luxury shaving cream, offering a luxury, indulgent experience. Will an invoice or receipt arrive with the gift? Not at all - If you select ‘Gift Wrapped’ service at check out, we will email the sales invoice to the billing email address only. The recipient will NOT receive any pricing documentation with their package. Still need help choosing the perfect birthday present for him? Simply contact us at your earliest convenience for further assistance choosing the perfect 50th birthday gift for him.